The eight edition of the 24 Stunden Burgenland Extrem Tour around Lake Neusiedl took place this weekend. Having signed up and cancelled twice for health reasons, I finally made it this year. A big thank you to my friend Erich, whom I had talked into going for this together three years ago and who was kind enough to give it another try. 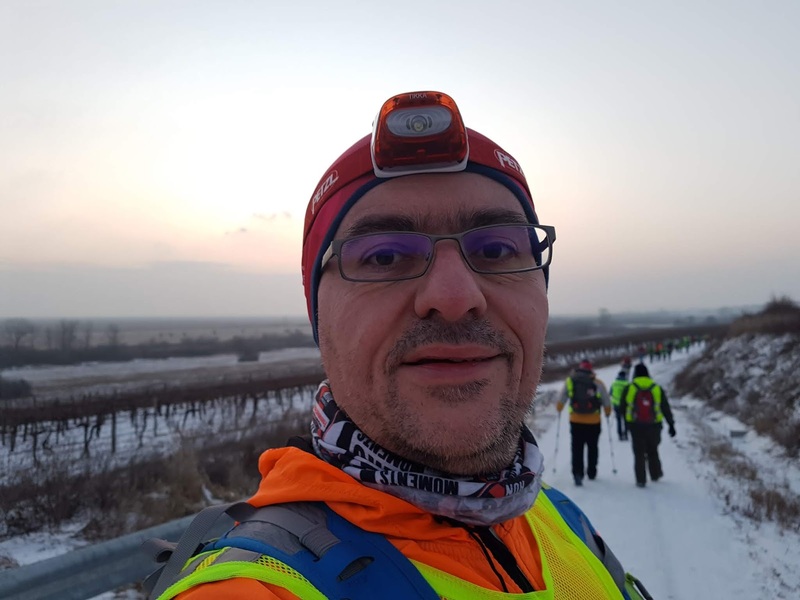 I was super excited the days before and somewhat relieved to see others talk about their rising panic as well, both the distance of 120 kilometers and the unpredictable winter weather make this more extreme than the typical running event. Fortunately the storage capacity of the running vest put a natural limit on how much I could possibly pack to feel prepared. 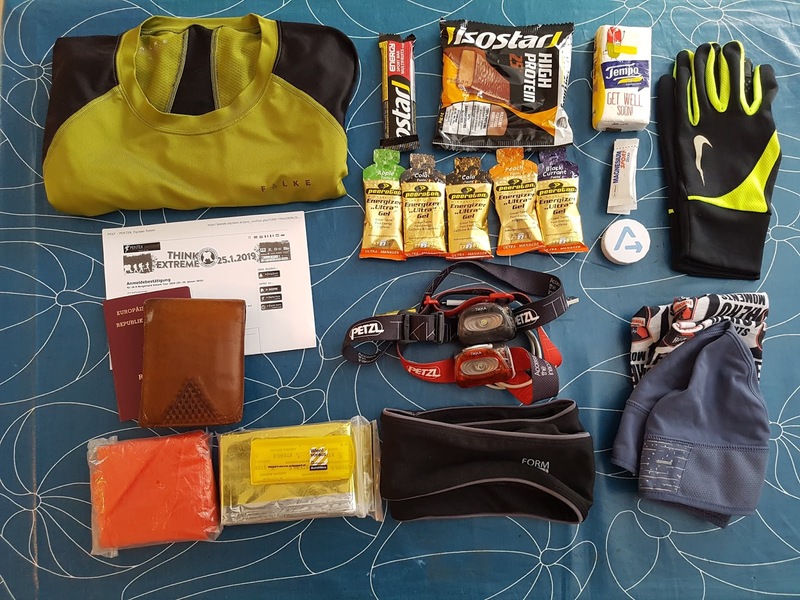 Following the spirit “LIVE LOVE MOVE”, as the organizers put it, the 24 Stunden Burgenland Extrem Tour is not a competition but a huge collective adventure, a road to new experiences, life-long friendships and also a path to yourself. Right from the start the tour is very relaxed, a large crowd of people moving along the narrow tracks, usually in small groups, not worrying too much about their pace, chatting and having a good time. 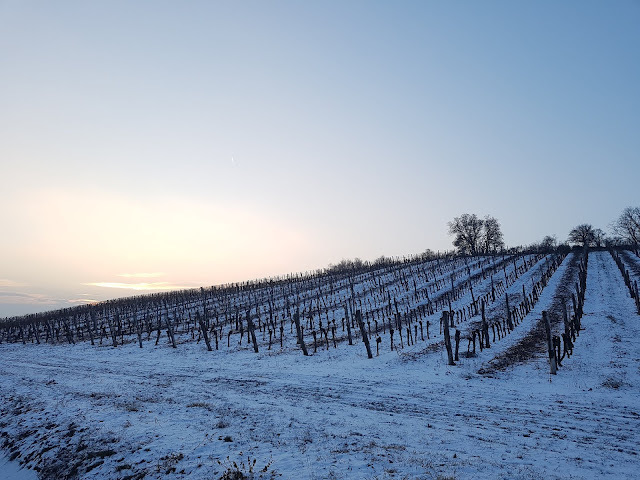 The weather started out nice, with temperatures around the freezing point and only a light breeze, and the bright moonlight illuminated the snow-covered tracks up and down the vineyard hills (so much for Burgendland being flat). After slipping a few times on the snow-covered tracks, I once scored points for an elegant telemark landing that should later knock me out of the tour. We passed the green boarder near Fertőrákos, and enjoyed the beautiful landscape and the sun that finally broke through the clouds. As we progressed to Balf, the first supply station offering tea and snacks, we decided to each run at our individual speeds. 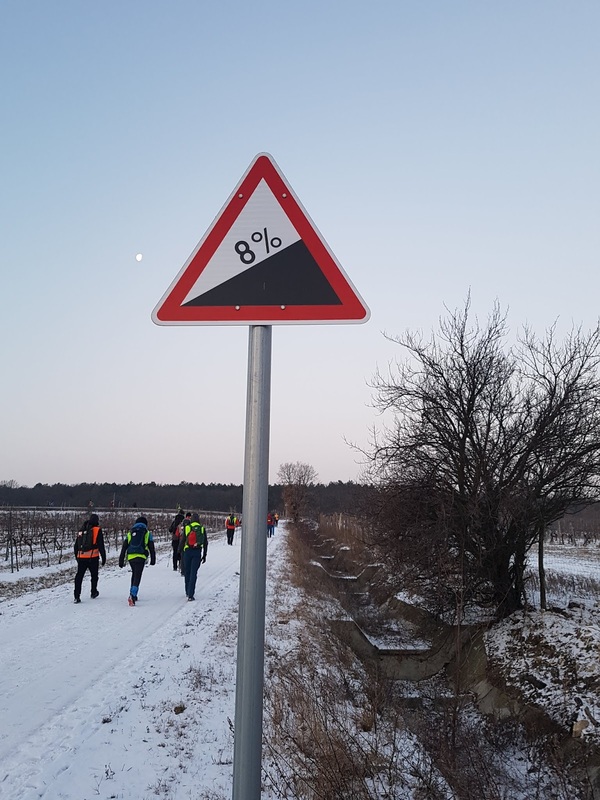 While I managed to stick to my planned pace on average, walking uphill and running downhill, my ankle was increasingly hurting and I was happy to reach the second supply station at Hegykő. Unfortunately taking a break here didn’t help, on the contrary. Getting back into my shoe I could barely walk, let alone run. Thus ended the tour for me early after just 34 kilometers. 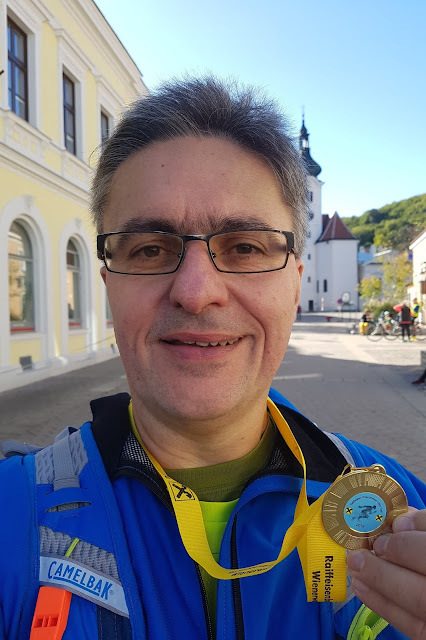 Back in Oggau, the nice lady who recognized the finishers with a medal insisted that I should get one too, kind of an honorary mention I guess. Doing just one fourth of the tour was certainly not what I had planned but still a good experience, and above all I made new friends and learned a few things for the next time. 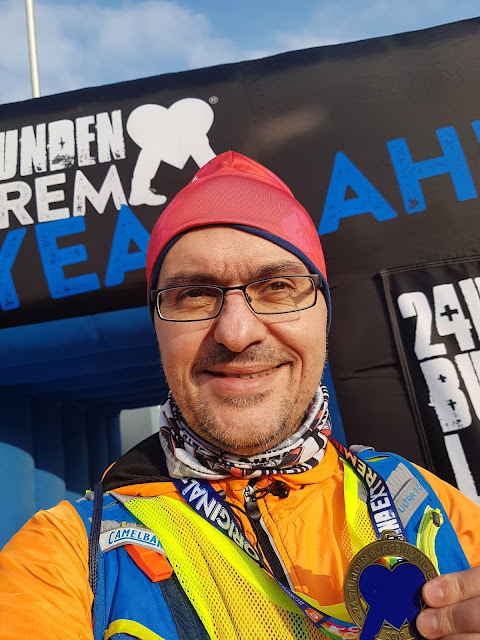 Congratulations to all finishers, who successfully beat the weather and the strong winds in the second half of the tour, extreme thanks to the organizers for a great event, and I am looking forward to the 24 Stunden Burgenland Extrem Tour again in 2020! 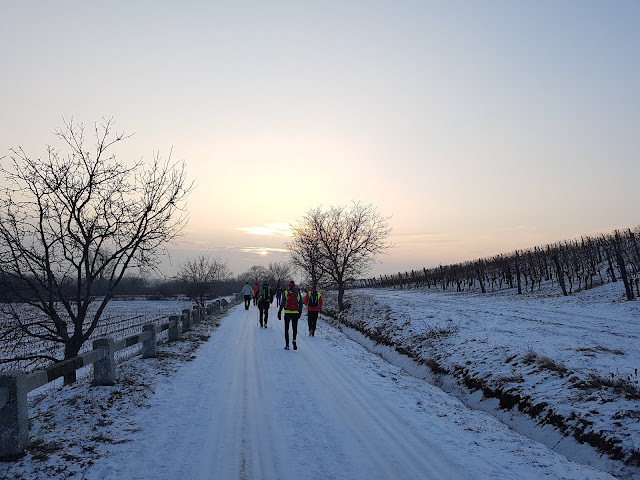 It’s been a crazy week, starting with the Wachau marathon last Sunday, the Vienna Night Run on Tuesday and two days at a conference in Berlin, returning last night. 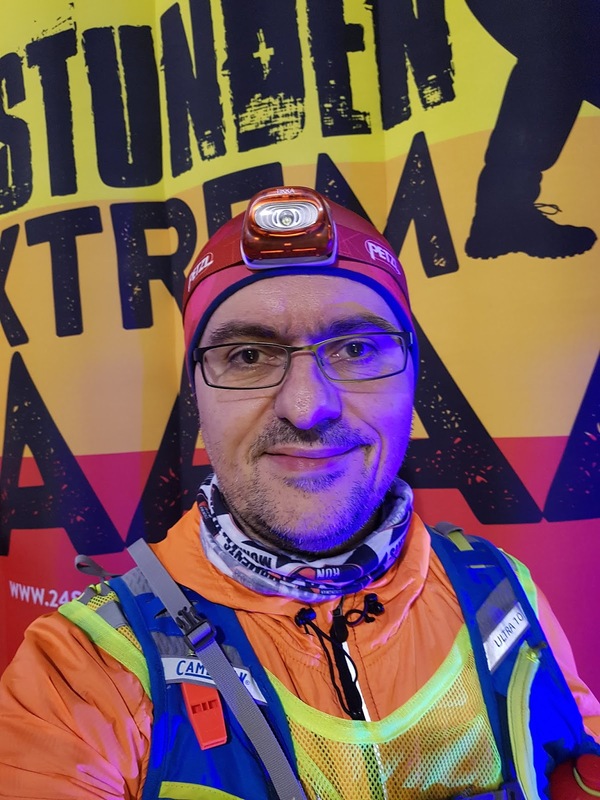 Today I participated in the Wienerwald Ultra Trail and finished the 55 km Diamant-WUT in 08:25 hours. So proud to join the ranks of ultrarunners! The day started somewhat chaotic. After a short night’s sleep I managed to spill water all over my backpack and the kitchen floor while trying to fill the water reservoir, switched to bottles instead which are easier to handle, then rushed to Purkersdorf to pick up my starter bag just ten minutes before the starting time. Ready, set, go! The course mostly runs through forest areas, with a mix of forest roads and single trails, and some six or seven ascents account for a total nominal elevation gain of 1,900 meters, although my tracking device recorded slightly less. Weather conditions were just perfect, with clear skies and low temperatures. After a while we were a group of three, Francisco Javier from Argentina and Ulrike, going at more or less the same pace, having a good chat along the way, occasionally one of us dashing off only to be caught up at the next ascent or supply station. At the 45 km mark I was already super-happy that I had gone beyond the marathon distance and still felt pretty good, and together we managed the remaining distance, the never-ending series of smaller ascents before finally going back down to Purkersdorf, where we all happily finished within a few minutes’ range. Thus ends a crazy week with a total of over 100 km in running competitions; time for a break now. 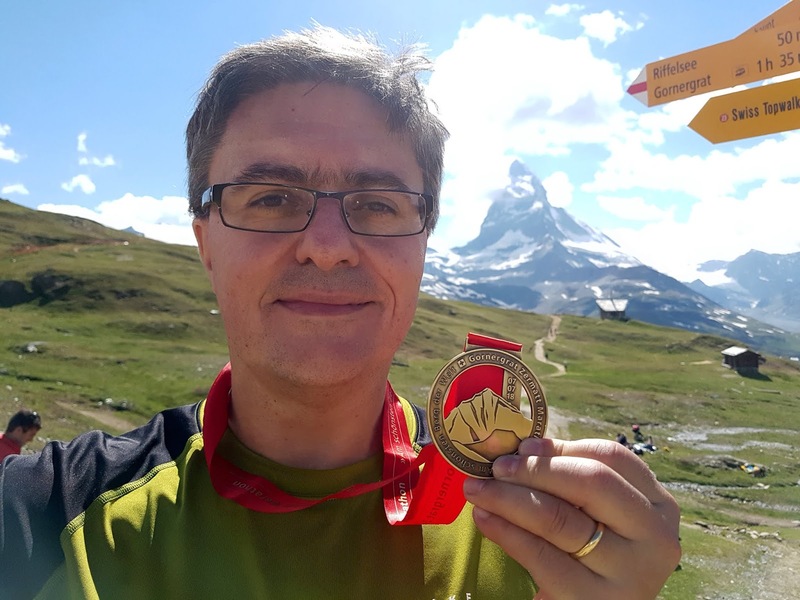 Gornergrat Zermatt Marathon: Up to new heights! Yeah, I did it! Seeing the finish line was the main goal for the Gornergrat Zermatt Marathon, my first full marathon this year. On Saturday I finished this fantastic alpine racing challenge from St. Niklaus at 1,116 m all the way up to Riffelberg at 2,585 m in an excruciating 7:22:13.5. The weather forecast had started with rain and thunderstorms a week before the race and got better by the day, with only light rain on Friday when I arrived by train, and a perfectly clear sky and sunny weather on Saturday. An alphorn quartet, which welcomed the runners at the start in Sankt Niklaus, was the perfectly fit to the picturesque mountain landscape. The first half of the run to Zermatt was quite easy, with plenty of shade along the track and only 500 m vertical height, and the headache that had plagued me for the first few kilometers magically disappeared. The second half was more challenging, with steep inclines, mostly in the sun, and varying terrain from comfortable hike paths to rugged areas and single trails. The beautiful nature along the route and the absolutely stunning views on the king of mountains, the Matterhorn, make it well worth the effort and enjoyable. After all, this is not so much a race against the competition but against yourself – and the clock. The small margin against the cut-off time was shrinking rapidly. With not enough energy or time left, I had to forgo the admittedly quite arrogant goal to take on the extra 3.4 km to the Gornergrat for an “insane ultra” (organizer Olivier Andenmatten) and happily settled for the marathon distance this time. What a relief when I crossed the finish line and received my marathon medal and the finisher pack! Thank you to my wonderful wife for giving me this very special birthday gift and sending me off to Zermatt! Also thank you to my running partners in crime for their support and encouragement. When I had mentioned the remote idea of going for the Gornergrat Zermatt Marathon a few weeks before the event to Egon Theiner, he suggested to give it a try: “Not sure about your current training level, but then, nothing ventured, nothing gained!” It was well worth it, and congratulations Egon on your successful ultra run. Lastly, the organizing team and the many helpers deserve a big round of applause for making this an absolutely perfect event. With the many friendly and helpful people at the supply stations and along the course, everything just worked fine. PS. Did I get to see the Gornergrat after all? Of course, I took the train up to the summit right after the run to enjoy the panoramic view. Thursday was another busy day at the WeAreDevelopers 2018 world congress in Vienna. Some of the logistics challenges with missing or unannounced overflow areas have been resolved, and I did even see a picture posted of the afternoon snacks, so they do exist but seem to be going fast. The ÖBB booth at least had some nibbles left. Following Tracy’s intro, Michael Hladky (@michael_hladky) looked into the gory details of RxJS schedulers, with live coding and cool demos on stage. There are several types of schedulers, asapScheduler, asyncScheduler, queueScheduler, animationFrameScheduler, virtualTimeScheduler, and testScheduler. The execution order of events depends on the type of scheduler. Little known and hardly documented is the fact that introducing a non-zero delay effectively turns any scheduler into an asyncScheduler, which may lead to unexpected results. 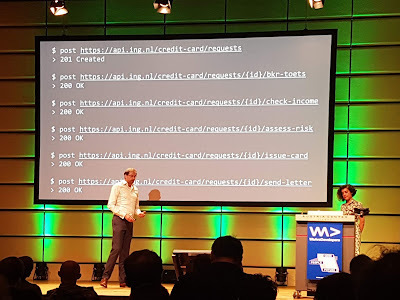 Security analyst Florian Grunow (@0x79) shared his security hall of shame with examples of insecure Web Applications and creative but futile countermeasures. 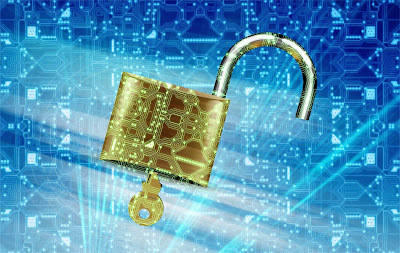 Surprisingly, the security issues are still largely the same as a decade ago, like clear text credentials, missing authorization checks, sequential ids, autocomplete passwords, and cross-site scripting attacks. Colm Doyle (@colmisainmdom) showed how companies are using #slack to enable ChatOps 2.0: Bringing ChatOps Principles to the Whole Organization. Organizations are wider than just technical teams, and command line interfaces may not be for everyone. Shopify, one of the companies mentioned, has a pretty detailed description of their incident management procedure on their engineering site. In the afternoon, Horst Kargl of Sparx Systems gave an introduction into modelling using Enterprise Architecture tools and languages like UML and SysML; not sure if the agile aspect was covered in greater detail later, as I had to leave the session. !==false // also true, yikes! Continuing the awesomeness was Una Kravets (@una) with an exciting story about the past, the present and the future of CSS. The past was ugly hacks and lots of browser specific code, been there, done that. The present already held some surprises unless you have been following CSS developments closely, and the future capabilities range from “Wow, I had no idea you could ever do this” to some really crazy stuff. @supports, display: grid, the will-change property, CSS variables, variable fonts, font animation, ambient light media queries are among the more recent features, with varying browser support (read: mostly not working in IE). gridtoflex.com comes handy when implementing a grid design using flexbox. What was particularly nice was the fact that the presentation deck itself was HTML+CSS, allowing live demos of most features from the debug console. 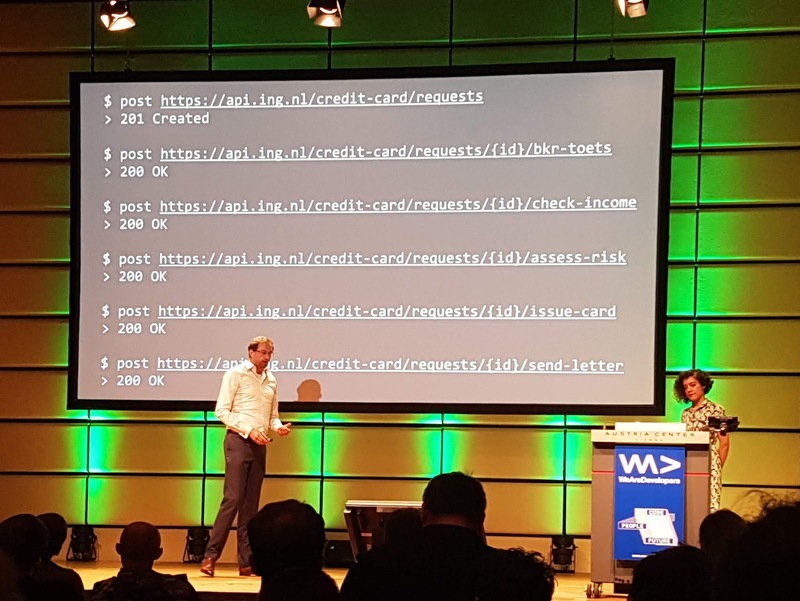 Flavia Sequeira and Ernst Naezer of ING shared the evolution of their API journey at ING, from the initial API discussions to a working API management practice, and the benefits of regulatory pressure in the form of PSD2. What makes a good API? APIs are different from Web services in that they should be designed from the outside in. The categorization into self, screen and stage APIs depending on who they are made for sounds about right, and the POST to GET is a commonly seen pattern both for security reasons and request size restrictions. The one thing I wish we had thought of when designing APIs a while back is the /me pattern for the authenticated user, instead of passing the user identification again in the request. Rounding off the day, Matthias Huttar (@matthuttar) took the audience on the journey to trunk based development, explaining the importance of successful builds and being on time at kindergarten, and energizing the crowd for the last session with a superfast round of high fives. Trunk development is great for well integrated teams that value speed over safety, and can help reduce cycle times, conflicts and ultimately errors and rollbacks if done right. There are scenarios where trunk development may be less suitable, including highly regulated environments such as financial services or utilities, as well as open source projects where the circle of trust is much smaller than the circle of contributors. Some 8,000 developers are getting together this week in Vienna for the WeAreDevelopers 2018 world congress. Registration was surprisingly fast and painless, a Graham roll and an energy drink as developer breakfast maybe slightly too clichéic (or I am getting old), but fortunately there was plenty of coffee available all day, including decent cappuccino at one of the sponsor booths. Asked at the conference opening what topics people would be most interested in hearing about, Blockchain came out first, followed by machine learning and, still, devops. Steve Wozniak rocked the Austria Center with an inspiring “fireside chat”. Talking with the brilliant Monty Munford, The Woz answered questions submitted by the audience and shared his views on anything from the early days of computing and why being a developer was great then (“Developers can do things that other people can’t.”) to self-driving electric cars (overselling and underdelivering) and the Blockchain (too early, similar to the dot com bubble), interspersed with personal anecdotes and, as a running gag, promoting the Apple iCloud. As a long-time mainframe guy, I liked his claimed his programming language skills too, FORTRAN, COBOL, PL/I, and IBM System/360 assembler, although he did mention playing more with the Raspberry Pi these days. The most valuable advice though was to do what you are good at and what you like (“money is secondary”), to keep things simple, and live your life instead of showing it off, which is why he left Facebook, feeling that he didn’t get enough back in return. For an absolutely brilliant graphical summary of the session, see Katja Budnikov’s real-time sketch note. Johannes Pichler of karriere.at followed an ambitious plan to explain OAuth 2.0 from the protocol to to a sample PHP implementation in just 45 minutes. I may need to take another look at the presentation deck later to work through the gory details. A quick deployment option is to use one of the popular shared services such as oauth.io or auth0.com, but it comes at the price of completely outsourcing authentication and authorization and having to transfer user data to the cloud. For the development of an OAuth server, several frameworks are available including node.oauth2 server for NodeJS, Sprint Security OAuth2 for Java, and the Slim framework for PHP. In the afternoon, Jan Mendling of the WU Executive Academy looked at how disruptive technologies like Blockchain, Robotic Process Automation, and Process Mining shape business processes of the future. One interesting observation is about product innovation versus process innovation: most disruptive companies like Uber or Foodora still offer the same products, like getting you from A to B, serving food, etc. but with different processes. Tasks can be further classified as routine versus non-routine, and cognitive versus manual. Traditionally, computerization has focused on routine, repetitive cognitive tasks only. Increasingly we are seeing computers also take on non-routine cognitive tasks (for example, Watson interpreting medical images), and routine manual, physical tasks (for example, Amazon warehouse automation). Creating Enterprise Web Applications with Node.js was so popular that security did not let more people in, and there was no overflow area available either, so I missed this one and will have to go with the presentation only. Equally crowded was Jeremiah Lee’s session JSON API: Your smart default. Talking about his experience at Fitbit with huge data volumes and evolving data needs, he made the case why jsonapi.org should be the default style for most applications, making use of HTTP caching features and enabling “right-sized” APIs. Hitting on GraphQL, Jeremiah made the point that developer experience is not more important than end user performance. That said, small resources and lots of HTTP request s should be okay now. The debate between response size vs number of requests is partially resolved by improvements of the network communication, namely HTTP/2 header compression and pipelining, reduced latency with TLS 1.3 and faster and more resilient LTE mobile networks, and by mechanisms to selectively include data on demand using the include and fields attributes. Data model normalization and keeping the data model between the clients and the server consistent was another important point, and the basis for efficient synchronizatiion and caching. There is even a JSON Patch format for selectively changing JSON documents. Niklas Heidoff of IBM compared Serverless and Kubernetes and recommended to always use Istio with Kubernetes deployments. There is not a single approach for Serverless. The focus of this talk was on Apache OpenWhisk. Kubernetes was originally used at Google internally, therefore it is considered pretty mature already despite being open source for only a short time. Minikube or Docker can be used to run Kubernetes locally. Composer is a programming model for orchestrating OpenWhisk functions. Niklas went on to show a demo how to use Istio for versioning and a/b testing. This cannot be done easily with Serverless, which is mostly concerned about simplicity, just offering (unversioned) functions. 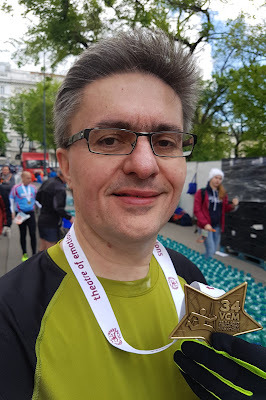 Today I finished the Vienna City Marathon (VCM) half in 02:24:59, an improvement over the half marathon two weeks ago despite the heat, and better than I expected after a long involuntary training break. It was a good run, and I am quite happy with the result. Nevertheless, this may have been the last time I participated in the Vienna City Marathon, and here's why. I ran my first marathon here in 2015, and have been coming back every year since. The course is great, the atmosphere is great, with people cheering along most of the route, but the quality of service just doesn't feel right, especially not for one of the more expensive running events. 42,000 athletes sound great, and combining full, half and relay marathons in one competition surely provides for fantastic pictures at the start. The downside is that things get crowded at times. Very crowded. Today, the first two supply stations had long queues of runners desperately looking for water, and the (too few!) poor folks at the booths couldn't keep up with the demand at all. At the 15km supply station, we were told that they still had cups but had “run our of water.” What? I saw several dehydrated runners seeking assistance from emergency services. It is the damned duty and responsibility of the organizers to ensure sufficient supplies, not of the emergency services. Oh, and given the lack of supplies the moderator's recommendation to “drink plenty” sounded like utter mockery. In the finish area, I overheard several people complaining about the organization, too. As long as the various competitions are still fully booked every year, the organizer will probably see no reason for changes. I have been seriously disappointed today, and will consider whether to participate in this event again next year. When I started running some 15 months ago, my goal was to relax and live healthier. If you know me, I haven’t been much of a runner before, aside from occasional runs through the Wiener Prater or along the beach a few times per year. 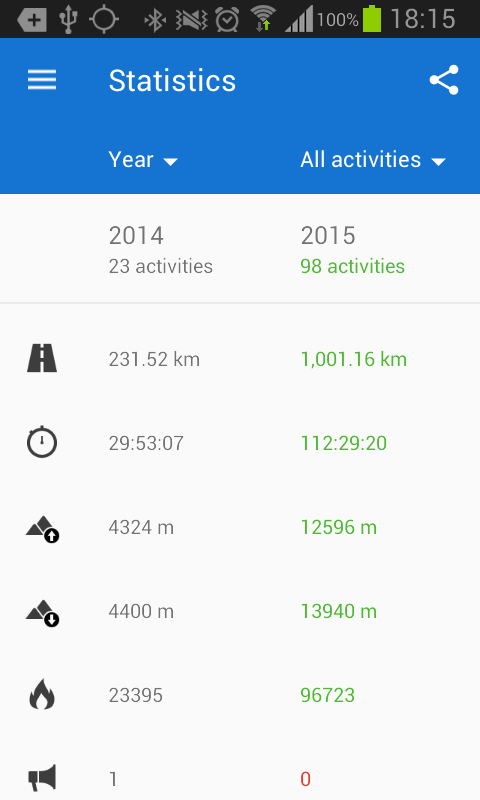 Today I completed my 1000th kilometer this year. 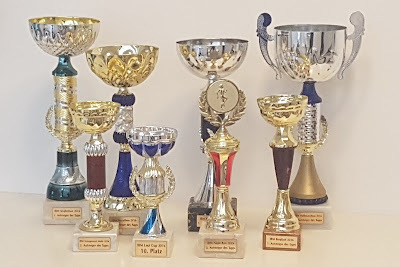 I have run two full marathons and two halfs, competed in a trail run and some shorter races and finished ninth place in the local Running@IBM cup. Like most nerds spending long hours in front of their computers, I had been sitting in my office chair for long hours, seeing my health parameters getting worse at every annual checkup, not to alarming levels but still, constantly gaining weight, and getting recommendations from my doctor to eat less and exercise more … and found tons of excuses why I had other things to do first and could never find the time. Over the years I have admired sporty family members, friends and co-workers, including an Olympic walker, marathoners, ultra-runners and triathletes, and have drawn inspiration from their determination and their successes. But it was a newspaper ad from an insurance company that literally flipped the switch, a lonesome runner in the middle of the night explaining that some folks call him “Daddy” and he’d like to keep it that way for long. And so I got my old sports shoes out and started running. Took the stairs instead of the elevator. Made an effort to eat healthier and intermittently switched to alternate day fasting (“weekday 10-in-2”). Joined the Running@IBM club and made new friends there. Downloaded training plans and (here comes the nerdy part) wrote some scripts to ease importing them into my calendar. Bought a book on long-distance running. The beginning was hard. I barely managed short distances non-stop. Soon I started seeing improvements, and in October last year I boldly decided to go for the full marathon distance in April and as an extra motivation join the #Run4CARE charity campaign. The initial response when I started telling people about my plans later on was usually along the lines of “You? Seriously? !”, usually followed by encouragement and support. 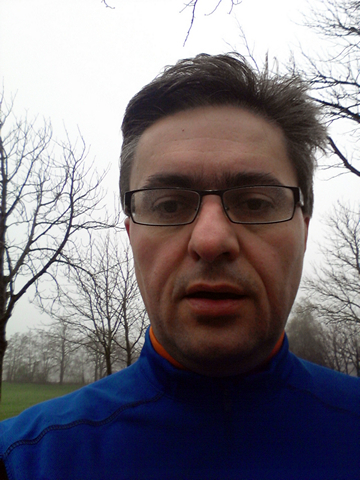 During winter I mostly followed my training plans, regardless of weather conditions. Facebook somewhat made up for the lack of a training buddy (finding someone nearby for midnight and early morning runs wouldn’t work out), the Likes and comments helped me staying on track. When I eventually finished the Wien Energie half marathon in March, I felt a great sense of accomplishment and pride, and even more so in April after doing the full distance at the Vienna City Marathon. What was meant to be a once-in-a lifetime experience has turned into a bit of an addiction. I was hooked and just have to keep on running. 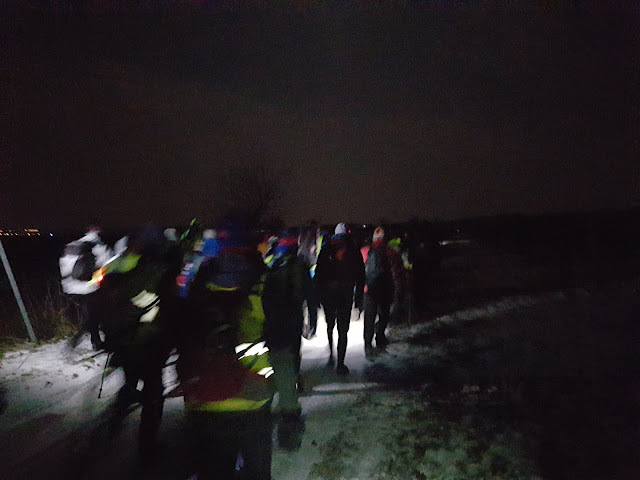 Happy New Year everyone, and Happy Running! More than 9,000 runners completed the marathon, of 42,742 athletes overall who participated in five disciplines. We had a beautiful day, with sunshine in the morning and some light clouds and wind in the afternoon, and the volunteers, the co-runners and the spectators made this a friendly and enjoyable event. One of my favorite signs, displayed by a supporter towards the end of the track, read: “Going back now would be a bad idea.” So we kept running. My finishing time was 04:54:15. I dedicate my first marathon to my dad, an experienced long distance runner who ran the Vienna City Marathon before, in just over three hours. Thank you everyone for your encouragement, support and advise, and also for the generous donations for the #Run4CARE charity run. PS. One small suggestion for the organizers: Waste bins after the supply stations would be great to keep the track at least somewhat cleaner. Running on layers of crunching plastic cups and through seas of Powerade is no fun. 40,000 runners from around the world will participate in the Vienna City Marathon under the theme “We are Europe” on 12 April 2015. I plan to be one of them and have signed up for the challenge. 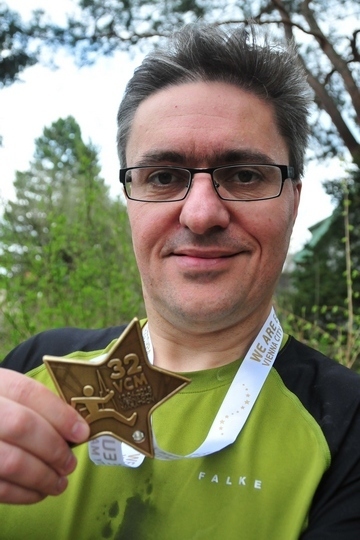 Running the full marathon distance and finishing the race in reasonable time. This will be my first marathon. In fact, unless I find a good practice race, it will be my first running competition ever. Running the marathon should be doable still. 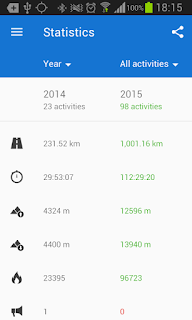 I have run half-marathon distances just for kicks without much training. Finishing the race in reasonable time will be tougher. A friend of mine was joking that she walked faster than I ran. I will do my best but expect no miracles, anything before the cut-off time counts! Raising funds for “CARE – Packages for Children in Need”. Raising funds for CARE and supporting children in need is an extra motivation to finish, if not an obligation to the charity team and to you, my dear friends, whom I trust to generously contribute to the #Run4CARE charity run. All donations will go directly to CARE in support of the “Packages for Children in Need” campaign. CARE is a leading humanitarian organization fighting global poverty, providing disaster relief and supporting sustainable development projects. When crises or natural disasters force families to flee their homes, CARE is on site and provides emergency relief. Encouraging others to join in. Lastly, I hope that others will join in, too. Running is an excellent way to improve physical fitness and also to refresh your mind. There is nothing like an early morning round in the park to start the day. I can do this, and so can you! CARE Österreich has been awarded the OSGS quality seal for charities. Donations can be made by credit card and bank transfer. 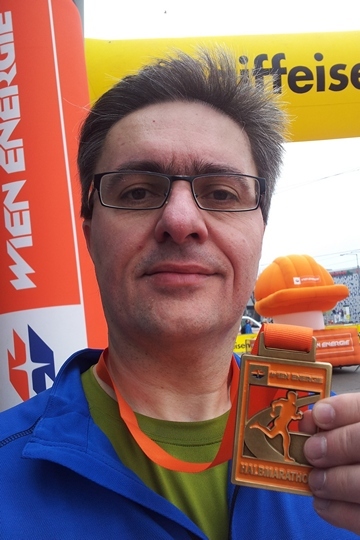 Update: The Wien Energie half marathon mid March turns out to be a good test race, so I will run there first before I attempt a full marathon next month.